The foramen rotundum is found in the middle cranial fossa, at the bottom of greater wing of the sphenoid bone, inferomedial towards the superior orbital fissure. Lateral wall of sphenoid sinus creates its medial border. It travels downwards as well as laterally in an oblique track and links the middle cranial fossa and pterygopalatine fossa. The foramen rotundum advances in shape during the course of the fetal period and from birth till adolescence. After the 4th fetal month it acquires a perfect ring-shaped formation within the fetus. In the fetal period it is mostly oval-shaped and round-shaped after birth. After birth, the rotundum is around 2.5 mm and around 3 mm long in 15- 17 year olds. 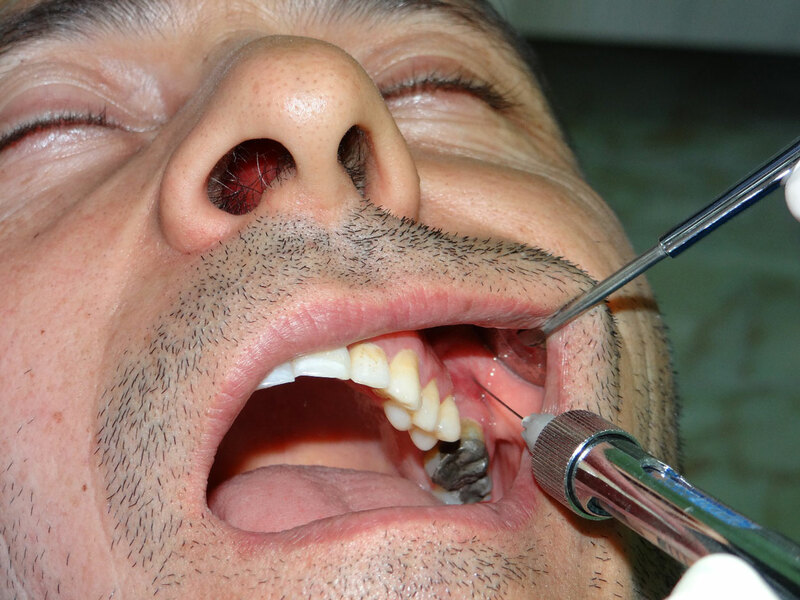 In adults the normal diameter of the foramen rotundum is 3.55 mm. By refining ostwalt’s method which has the highest degree of success in reaching to pterygopalatine fossa, a new method of maxillary block was created. 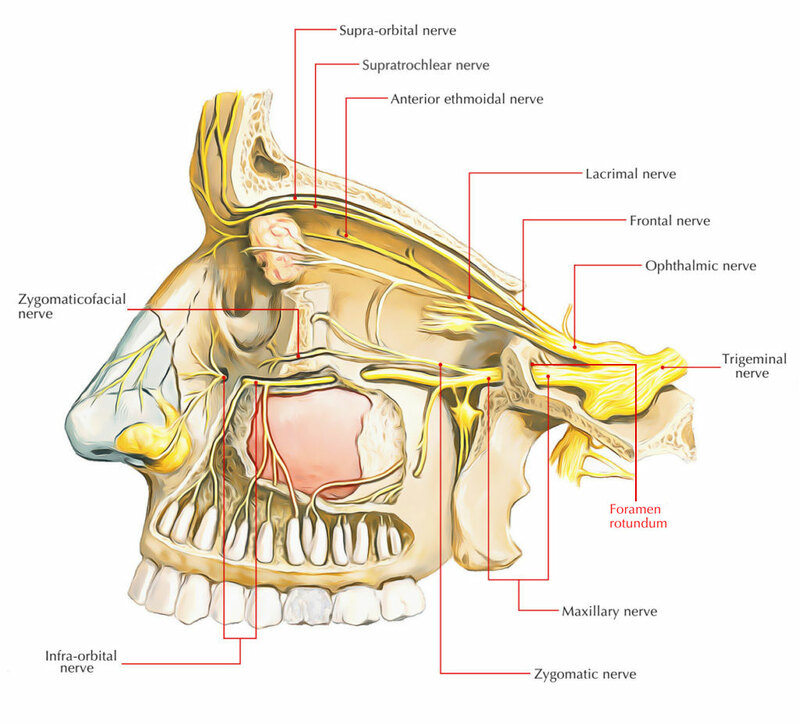 In foramen rotundum, the block of the maxillary branch of the trigeminal nerve can be done without danger or difficulty.